Lot coverage is a big issue for most towns. 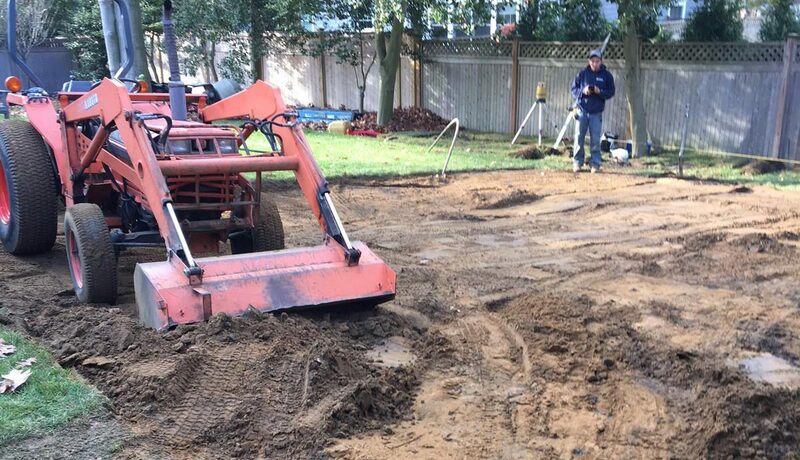 How much of your property is covered by surfaces that do not allow water to penetrate and recharge into the ground. 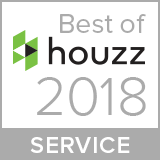 One solution from paver companies is to install modular pervious pavers. Most towns will accept these as a pervious surface. 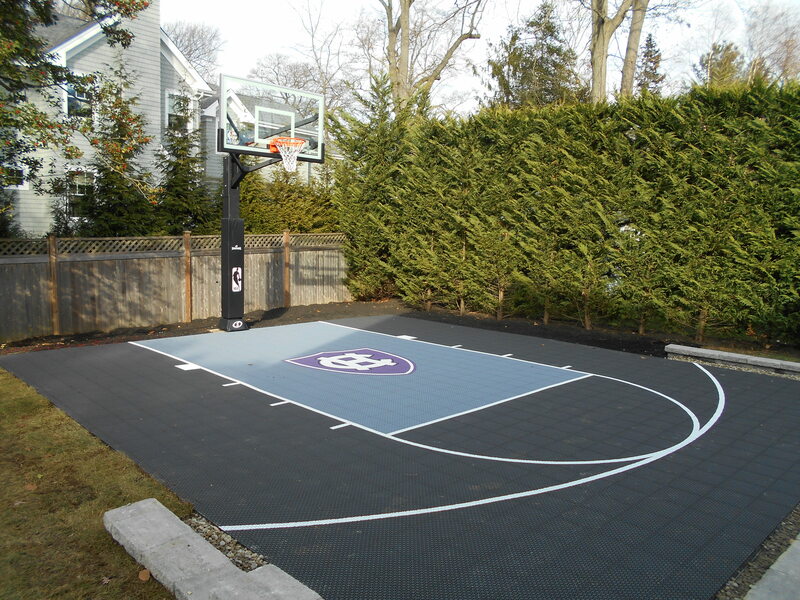 Our sport tiles can be installed on top of these pervious pavers. 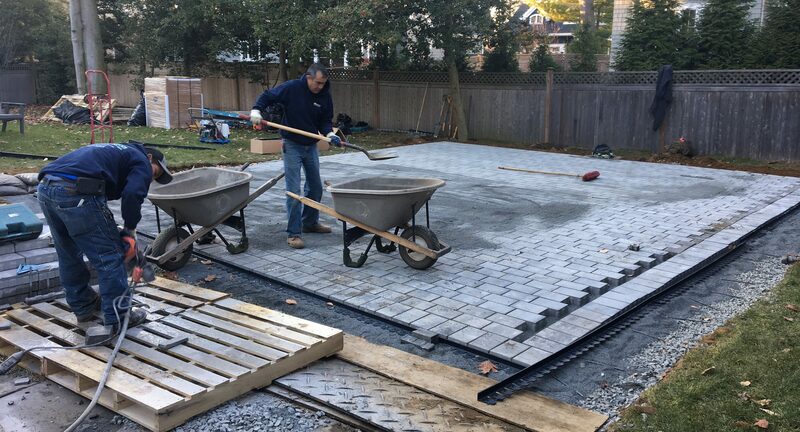 Below is an outline of the process with photos of a customer pervious paver court built by DeShayes Dream Courts. 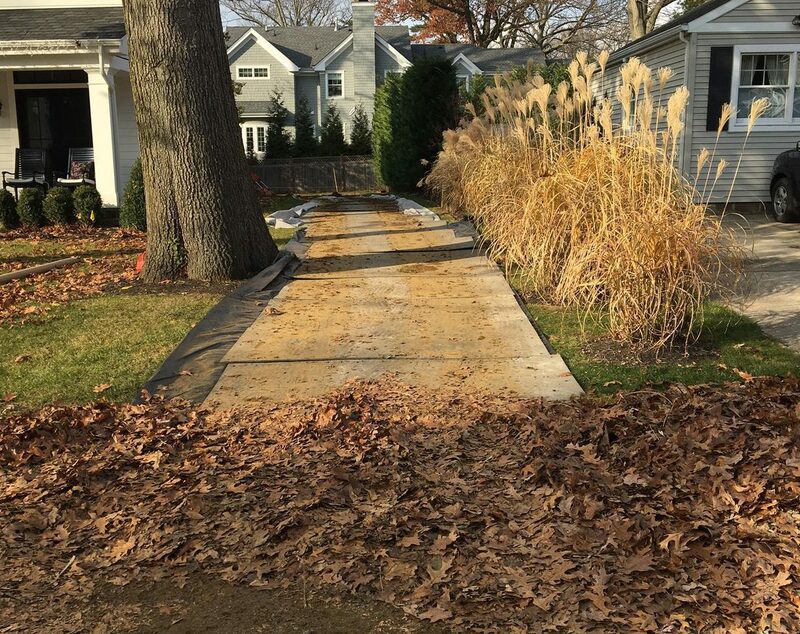 Permeable geotextile fabric is covered with 4” of clean stone. Then, pervious pavers are installed on top of the clean stone drainage bed. 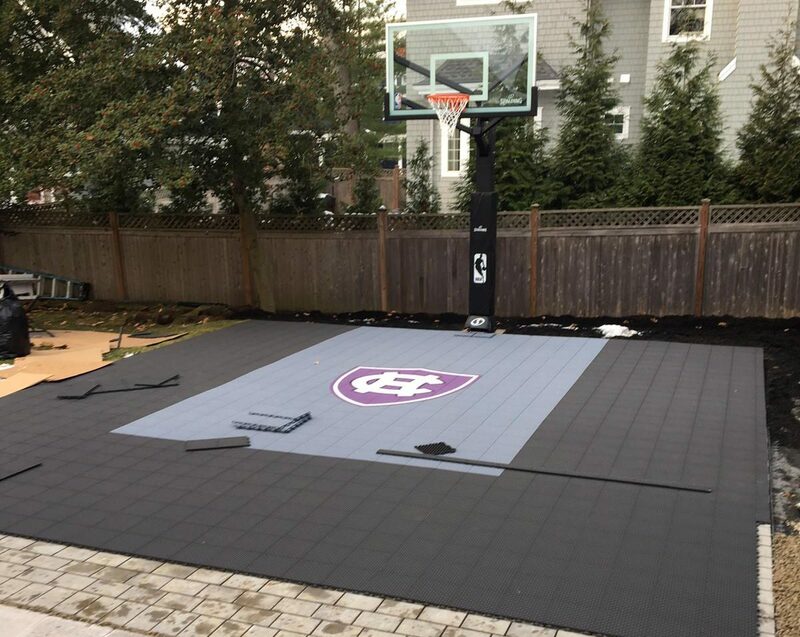 Then the basketball unit is installed, and pervious sports tiles are placed on top of the pervious pavers. Next the finishing details are installed. In this particular job, DeShayes installed a low seat wall with stone for additional drainage at the base of the wall. Sod and mulch were also installed around the court. 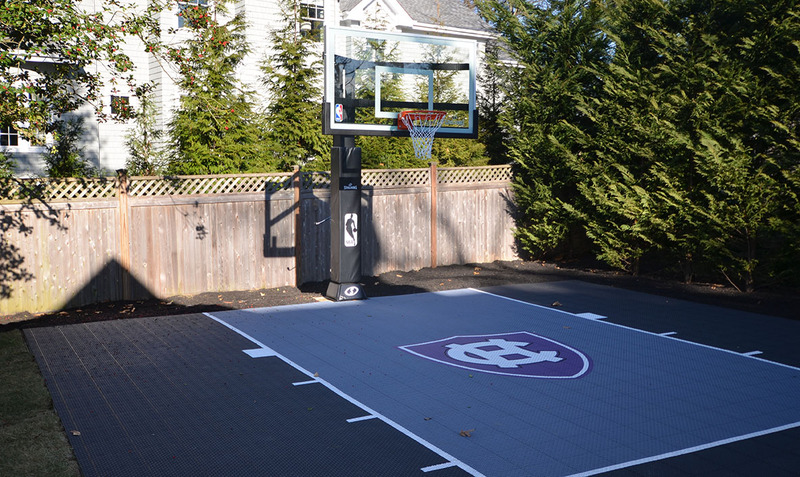 Finally, this DeShayes Court, complete with a fully adjustable professional basketball unit and a Holy Cross team logo, is ready for play!